Lee Kong Chian Faculty of Engineering and Science (LKC FES) Department of Electrical and Electronic Engineering Prof Dr Chong Kok Keong and Centre for Power Systems & Electricity Chairperson Prof Ir Dr Lim Yun Seng won the Top Research Scientists Malaysia 2018 award at the Conferment of TRSM and Fellowship of the Academy of Sciences Malaysia 2018. The ceremony was held at Sunway Putra Hotel, Kuala Lumpur on 11 November 2018. 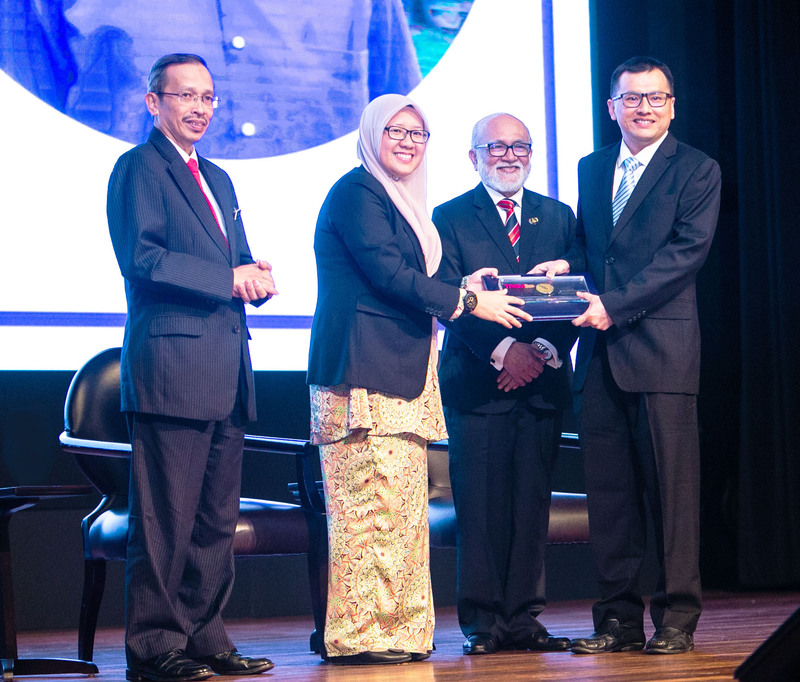 The Top Research Scientists Malaysia (TRSM) award is a project developed part of Akademi Sains Malaysia (ASM) which focuses on fostering a culture of excellence in Science, Technology and Innovation (STI). 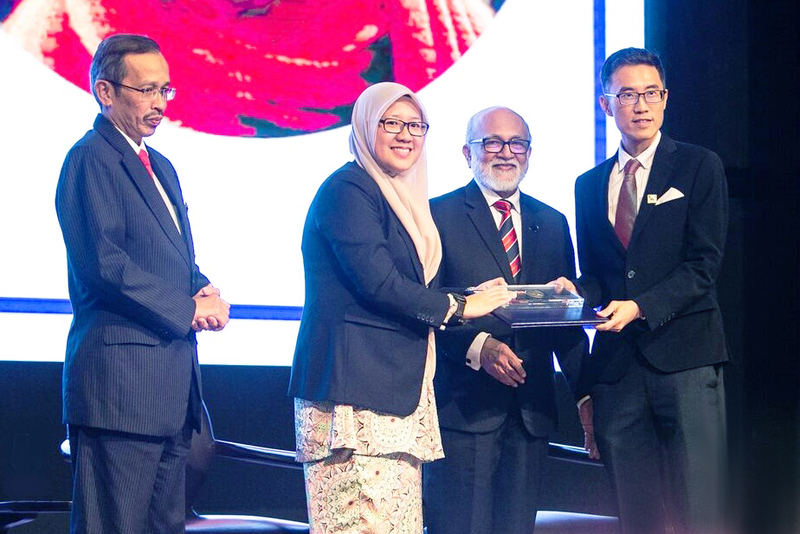 The award was meant for Malaysian research scientists that have contributed significantly to the economic growth of the nation via generation and dissemination of knowledge, wealth creation and productive pursuit of scientific excellence for the benefits of humanity. In relation to this, the ‘Top Research Scientists Malaysia’ database aims to recognise and showcase the accomplishments of the Malaysian research scientists as role models of excellence, mentors to the next generation and leaders to forge ahead with the STI agenda of the nation. “I am very honoured to be able to receive this prestigious award, marking an important milestone in my academic career for the contribution of innovative ideas towards the development of future power systems. The future power systems must be actively managed to provide electricity to customers in a timely manner such that the electricity supply is reliable, clean and effective with an affordable cost. This is one of the main catalysts in propelling the social-economic growth of a nation,” shared Prof Lim. The programmes offered by the LKC FES Department of Electrical and Electronic Engineering are recognised by the Malaysian Public Services Department (JPA) and the Board of Engineers Malaysia (BEM), providing an opportunity for students to master the basics of engineering principles underlying electrical, electronic and communication engineering. These programmes are in-line with the state-of-art of technologies in electrical, electronics and communication engineering. Four programmes are offered in the Department of Electrical and Electronic Engineering, viz., Electrical and Electronic Engineering, Electronic and Communication Engineering, Physics and Electronics (Computer Networking). Each programme is actively engaged in R&D with the financial support from the University, Government Funds such as FRGS, AAIBE, and other industrial grants. The academic staff members have been actively participating in competitions in the national and international levels and they have received prestigious awards, including International APICTA Award, MSC Malaysia APICTA, Invention and Innovation Malaysia, National Instruments Graphical System Design Achievement Award, International Technology Expo (ITEX) and others. On top of that, the academic members collaborate closely with industry and provide consultancy services. Numerous industrial visits have been organised by the department to give students an insight into the operation and the working environment in the industry. These industrial visits supplement the various theories acquired in the classroom for an understanding.